You must be a verified magic shop with a physical address and/or a unique web address. 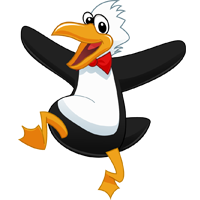 We ask that you sell all products purchased from Penguin Magic at MSRP (manufacturer’s suggested retail price). Any products purchased from penguinmagicwholesale.com are not to be sold through any other online marketplace such as amazon.com, ebay, craigslist.org, etc. Final eligibility is at the discretion of Penguin Magic and can be revoked at any time. Digital downloads are not wholesaled. If a product is not on the wholesale website, it is not currently offered as a wholesaled item. But, please, feel free to inquire about additional products. Our available wholesale products change all the time.